NEW TO THE LOCAL CHURCH? A PLACE WHERE KIDS CAN MEET JESUS ON THEIR LEVEL. Kidstreet is a Children's Ministry uniquely designed with your child in mind! 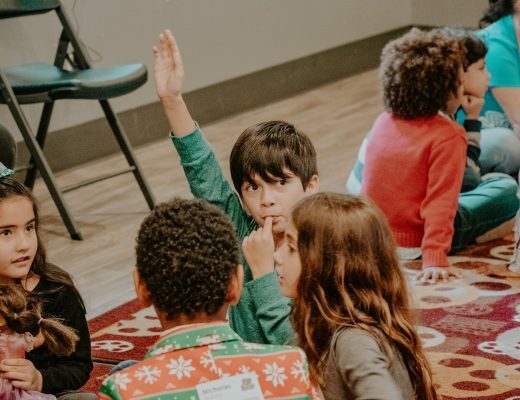 Every Weekend all children (babies through 5th grade) experience safe, age-appropriate environments where kids meet Jesus and the Bible is taught in a creative and relevant way. We would love to see you and your family visit KidStreet at The Local Church at any one of our 4 Weekend experiences. (Saturday at 6 PM, Sunday at 9:30 AM, 11 AM or 12:30 PM – Pre-school not available on Saturday) Join the fun and experience a world where kids meet Jesus on their level! Look for the KidStreet check-in area clearly marked in our courtyard entrance. We will meet your family, check your child in and one of our volunteers will lead your child to their age-appropriate room. After checking your child in, you and your child will be given matching identification tags that are exclusive to your family and your visit. Your child will need to wear the name tag portion while you keep the matching tag. After the service, you will return to your child’s room and show your tag in order for your child to be released back to you. A mom’s viewing room is available adjoining the main sanctuary for moms with newborn babies. This is a “Moms Only” room for women with newborn babies to view the service in a more private and quiet environment. We also have an outdoor and indoor worship café in our courtyard adjoining the sanctuary where families and children are welcome to enjoy the service. These are great areas for regulars or new families to relax and observe the service if you feel your children are not yet ready to enter the KidStreet. We want every child to know and experience the love of Jesus that will guide them and protect them through the rest of their lives! The teachings are full of Wisdom and truly filled with the word of God. I’m so pleased I found The Local Church. Great church!! Started going there in January right after I left my home church to seek more about God. Still going there and am attending Contrast, which is for young adults, and man is it awesome!! If you are looking for a place where there is awesome worship, an amazing message, and “the perfect place for imperfect people” (our motto), check it out, you will not regret it! I always feel welcomed and loved here. The Local Church makes it clear that all are welcome. The bathrooms are super clean too. The church is full of friendly loving people. Who really truly demonstrates God loves. The children ministry is so exciting. It’s like being at an amusement park every time you come. The pastors are so amazing 😉 & down to earth. The staff is everywhere and ready to help. © 2019 The Local Church. All Rights Reserved.